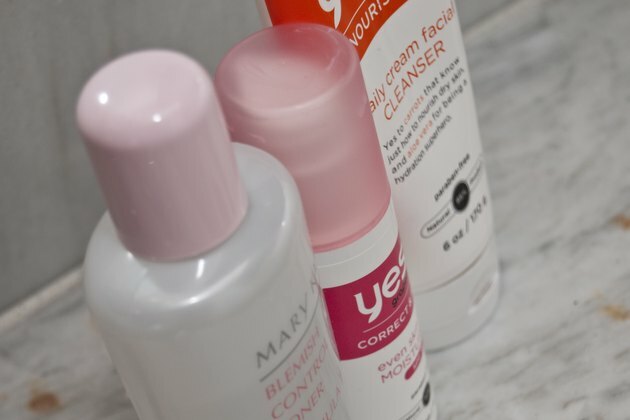 Whether you are blessed with clear skin or constantly battle acne, oil or redness, a proper skincare routine is necessary to ensure the health of your face. Facial skin should be cleansed every morning and evening, along with any time your face becomes dirty or sweaty. Although you may choose to use additional skincare products, the three main products include cleanser, toner and moisturizer. Once you understand how to properly cleanse, tone and moisturize facial skin, the routine should only take you a few minutes per day. Soak the face with warm water, ensuring that all areas of the skin are wet. Although the water should be warm, it should not be too hot. Hot water can damage and dehydrate the delicate facial skin. Apply a small amount of facial cleanser to the skin. Use your fingers to gently massage the cleanser into your face in a circular motion. Avoid the mouth and eye areas. Continue cleansing for about 30 seconds and then rinse thoroughly with warm water. Pat the facial skin dry with a clean soft towel. Use the towel to gently blot away the water. Avoid rubbing the towel against the skin, which can harm the thin and delicate skin. Do not use a dirty towel; dirt and bacteria can easily transfer from the towel to your face. 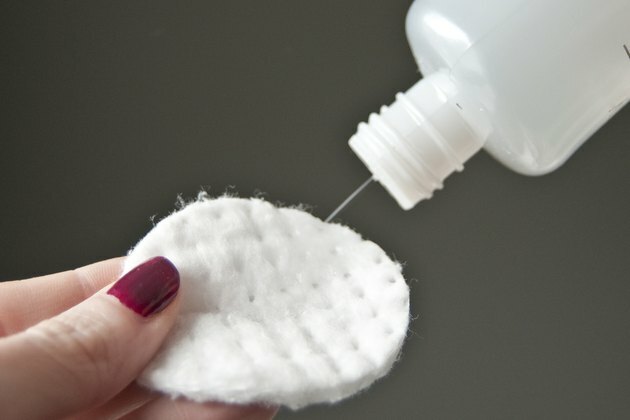 Soak a cotton pad with facial toner and wring out the excess liquid. Pat the toner-soaked cotton pad across your entire face. Pay extra attention to the forehead, nose and chin if these areas are frequently oily and avoid the mouth and eye areas. Don't be tempted to skip this step -- toner removes residue, such as chlorine and minerals in tap water when used after cleansing and helps skin retain moisture. 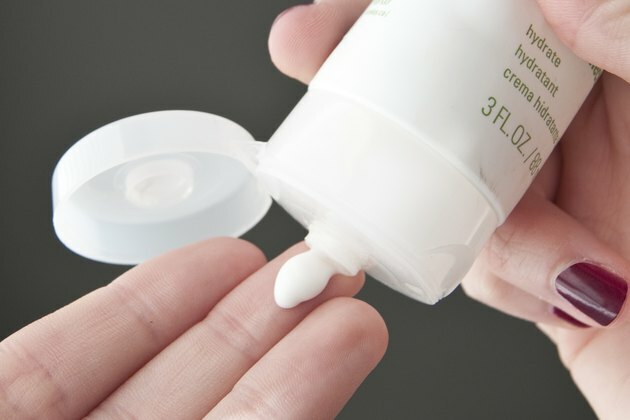 Squeeze a small amount of facial moisturizer onto your clean fingertips. Use your fingers to gently massage the moisturizer into the skin. When applying moisturizer around the eyes, use the tips of your ring finger to gently massage the cream into the skin. Choose a moisturizer that matches your particular skin type. For example, you may need a thick cream for extremely dry skin or a gentle formula for sensitive skin. For day, use a moisturizer with a built-in sunscreen of SPF 15 or higher. Your skin type should help you determine the specific types of products you need. For example, people with sensitive skin often require products made without fragrances and harsh chemicals. People with dry skin often require gentle cleansers, yet thick moisturizers. People with oily skin should opt for products that gently exfoliate without using heavy oils. Marie Claire: Is Your Skincare Routine Due for an Overhaul?